The 84-foot tall structure will yield over 100,000 square feet within, including 68,000 square feet of office space. The building will feature 14-foot high ceilings, seven balconies, and wraparound windows. 138 parking spaces will be included on site. As of now, the studio’s footprint covers over 500,000 square feet, housing nine stages, a lighting and grip company, music recording space, and a full-service restaurant. Business for the studio has been improving since tax incentives from the state in 2004 stimulated film and TV production. Gluck + Architecture will be responsible for the design. The groundbreaking ceremony for the development occurred in February of 2017. An estimated completion date has not been announced. 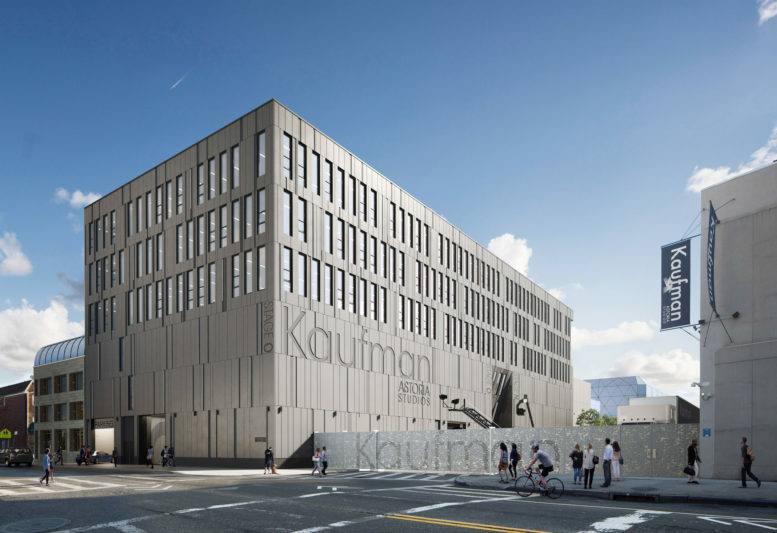 3 Comments on "Kaufman Astoria Studios’ 100,000 Square Foot Expansion Revealed, Queens"
Please pardon me for using your space: Have a look at this. That Google Maps street view is incorrect. 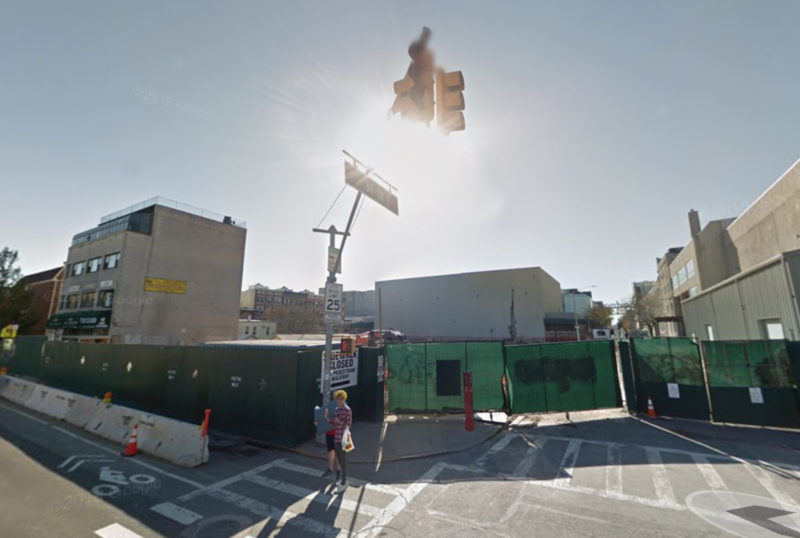 The project is located at the intersection of 34th Avenue and 36th Street; you’re showing 34th Street and 36th Avenue. Such is the numbered confusion of Astoria!